Another wonderful project to work on, which took most of 2016 from initial inception through to completion. 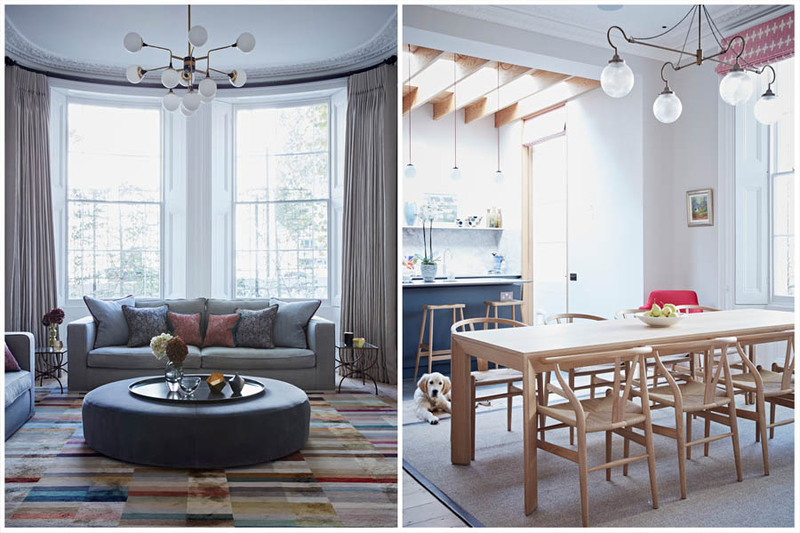 One of our interior design clients approached us to help her plan the soft furnishings for this beautiful central London townhouse. The houses in this area of London are characterised by beautiful curved facades down one elevation, which can present something of a headache when it comes to window treatments. A Curved Wooden Curtain Pole! 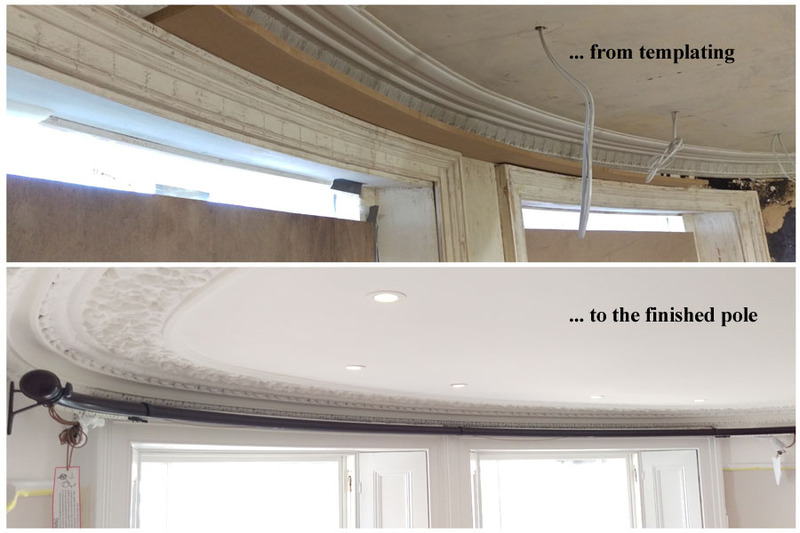 For the Drawing Room curtains (above) we had to template the entire curved bay in order to create a millimeter perfect template for the curtain pole manufacturer to bend the pole to (below) – which was no mean feat on a busy building site. The curved (corded) wooden pole the manufacturer created was a work of art, that fitted the curve of the bay beautifully. In the Master Bedroom above, and child’s room on the top floor, we constructed curved, painted (corded) lath and fascias (below), which had to be templated in the same fashion. 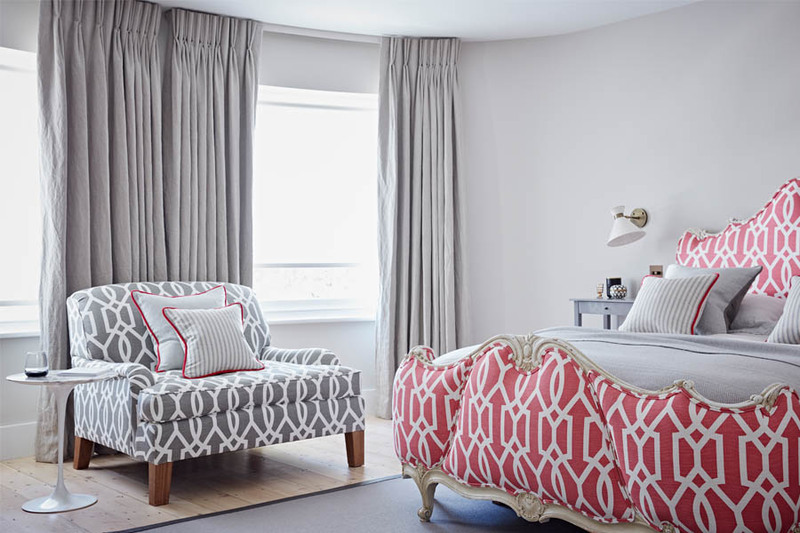 We also produced a number of bespoke accessories, such as the cushions pictured below, which were fabricated in patterned and printed linens.